Our quiet place is a two minute walk to the stunning beach and views of the Mount. We are a fifteen minute walk to Bayfair shopping mall, providing restaurants and dining. We provide secure off road parking with separate guest access and entry. Your hosts Angela and Barry live above with concrete flooring between the main house and below apartment. We will be onsite to welcome you. You’ll love our place because ... everyone else does :). Our place is good for couples, solo adventurers, and business travelers. We are approximately a 10 minutes drive to ASB Baypark, so if you have an event to attend it couldn't be easier. THE BEACH.....The only place where salt lowers your blood pressure!! 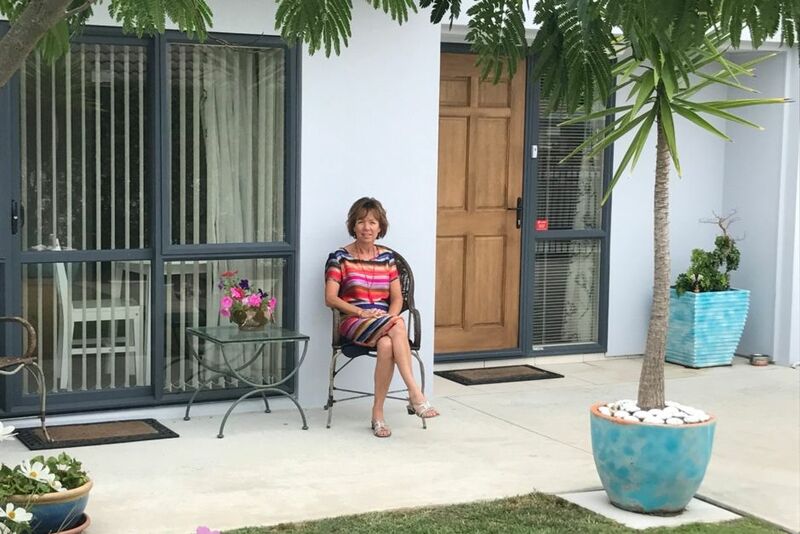 Fantastic, clean place to stay in the Maunganui area; delightful hosts! We stayed for a week in this charming place. It is small, but there is plenty of room for two people and it’s great that it has a separate living room. We can’t say enough about how welcome our hosts, Angela and Barry made us feel. This is a perfect getaway spot for a couple, and its proximity to the beach and Mt. Maunganui help make it a real gem! Lovely couple to have come and stay. Kathleen and Alan were courteous, quiet and looked after the condo like it was their own. Would definitely recommend them to anyone. Have a great holiday. Very comfortable, quiet, and well appointed. Easy access to beach, and shops. We thoroughly enjoyed our visit to Mt Maunganui. Angela welcomed us to her place and made sure we had everything we needed, fresh fruit, a variety of breakfast options and cold beverages after a long drive! 😎 When she discovered that we didn't have a car( due to difficulties with the car rental agency) she got us to where we wanted to go. Her home is a short walk to a beautiful beach and shopping is nearby. We enjoying visiting with Angela and her husband Barry and highly recommend Maranui Rest. Thank you for your great review. We really enjoyed having you both to stay. Very clean, great amenities and lovely personal touches. Thanks for the great stay. Lovely to have you both to stay. Come again anytime. Very compact but has everything you need. Is modern and has separate areas. Nice breakfast food and some fruit provided. Only a street away from the beach. Angela is very helpful and friendly. One thing we though would be good is for some hand / tea towl rails net to the kitchen area. A great place to stay if you are visiting Tauranga or the mount. A polite and courteous couple. The most incredible place to stay, Angela and Barry are awesome hosts, the facilities and extras provided were well above the call of duty, I wish we could have stayed longer, we will definitely go back when the situation arises. Thank you so much, Paul and Lisa.